Appellation or Vine Verdicchio dei Castelli di Jesi D.O.C. 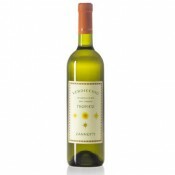 This Verdicchio comes from the vineyard of the same name in Montecarotto. 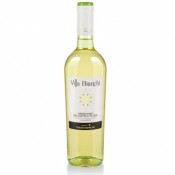 The light over-maturing of the grapes and contact of the wine with its yeasts give this product particular characteristics of fullness. 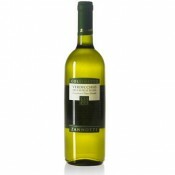 The very low production, 80/90 quintal per hectare, corresponds to a little over the usual production of Verdicchio. The grapes that are harvested and that are slightly over-matured are pressed with pneumo-presses. The must is harvested in refrigerated containers for the static settling and it is then transferred in small stainless steel containers where the fermentation is carried out at a controlled temperature (16/18°C). The wine undergoes the maleo-lactic fermentation and it is then assembled with a small percentage (3-4%) of thinned wine in barriques. It thins for a few months and then bottled at the end of April. Its colour is that of yellow hay with brilliant green reflections. The bouquet is intense, full and fresh. 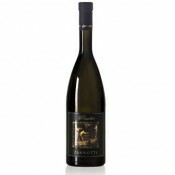 The texture is dry and velvety with a slight hint of mature fruit such as apples and peach. Since the beginning of its history, Umani Ronchi has distinguished itself as a great interpreter of two of the most typical wines of the Marche region, Verdicchio and Rosso Conero. Massimo Bernetti, who since the 1990s has been joined in the management of the company by his son Michele, has created wines which are appreciated throughout the world, has renovated the vineyard stock and has refurbished the great winery at Osimo, but he is not yet satisfied and stubbornly insists on following the imperatives of a product of the highest quality. All this translates into serious work of experimental agronomy and vineyard care, and the adoption of the most advanced techniques of cultivation and vinification. In the last few years the growth of interest in the wines produced in the neighbouring region of Abruzzo led Umani Ronchi in 2002 to purchase a 30 hectare holding in the Teramane hills, a designated sub-area of Montepulciano d'Abruzzo appellation. 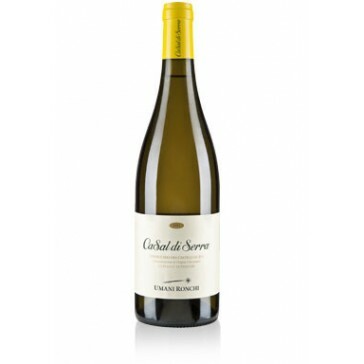 Perfect with fish, white meat and fresh cheese. Serve at 12-13°C in a smooth, transparent crystal glass. This is not a wine that ages, despite the fact that it holds up well in time, therefore it should be drunk within a few years of its purchase. The bottle should be placed horizontally in a cool, dark and humid cellar.